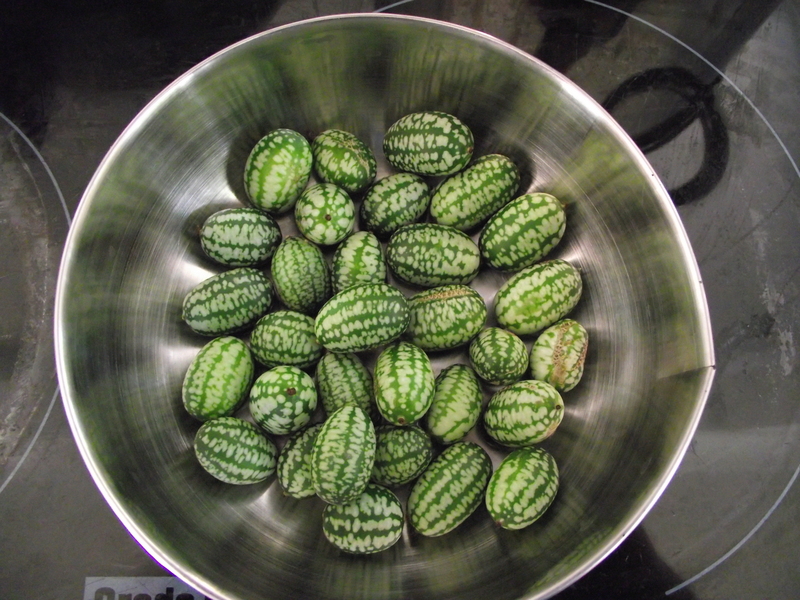 Have been put in Gin with some sugar – these will flavour the gin (and make it a bit stronger) whilst also becoming soaked in Gin themselves – these will be great next summer in G&T’s!! Might add some more Gin later. 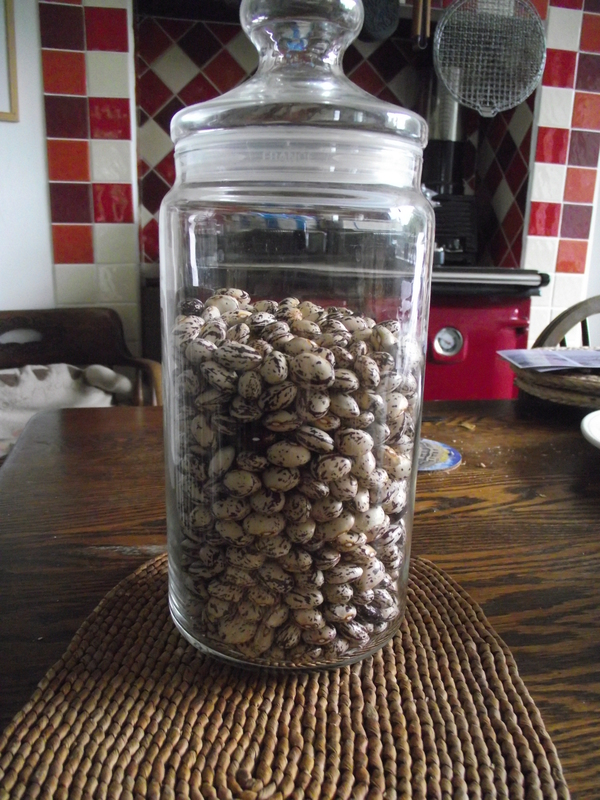 The Haricot beans have been dried and podded into a jar – this will be perfect in winter stews. 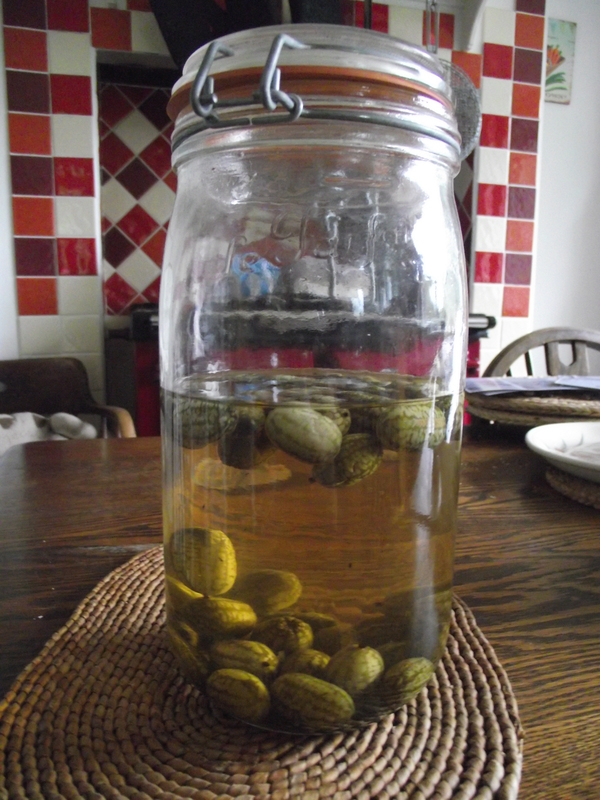 The French Beans are dry now but need podding to be put in jars, they should fill a good few more jars as the Haricot harvest was a bit sparse – something to remember next growing season. 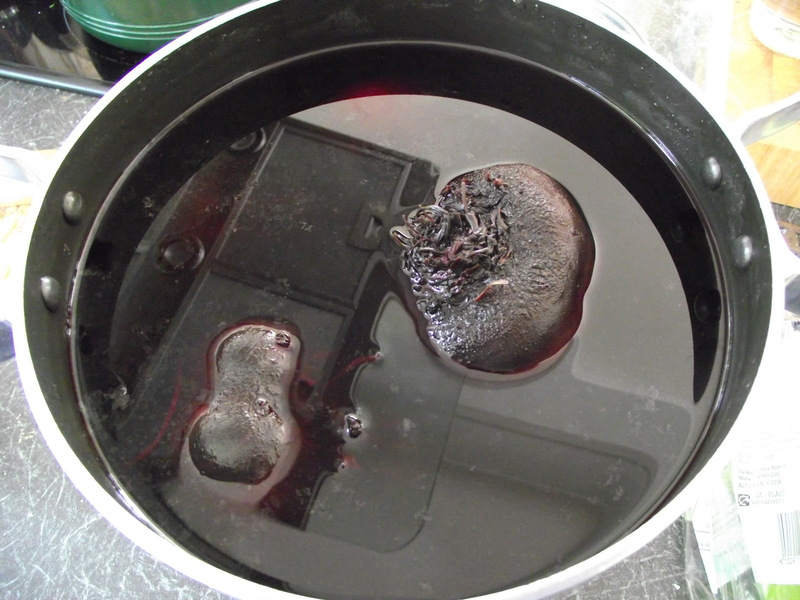 The Quince were cut into chunks and boiled/simmered until they broke down – and then put through a jam strainer for the juice to drip out overnight – as above. The remaining fluid then had an equal amount of sugar added and was boiled/simmered until it was ready to ‘set’, and then bottled. 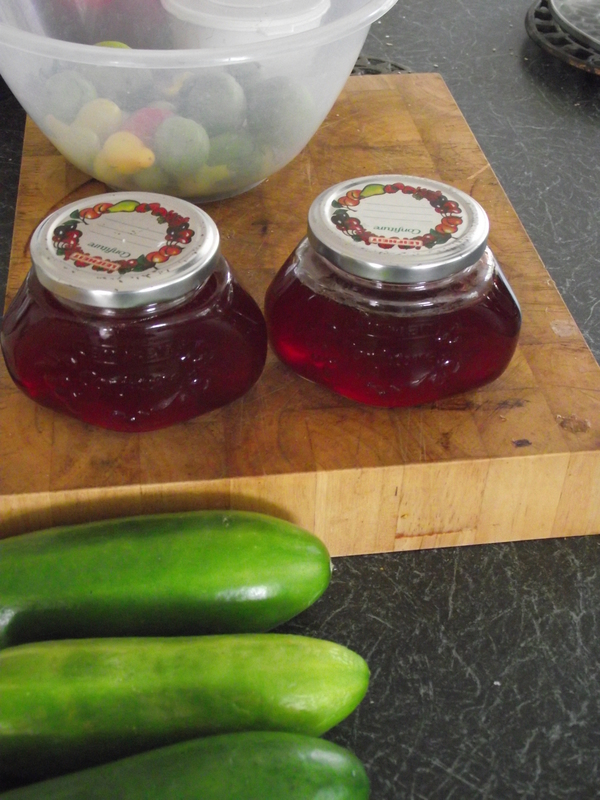 A couple of the jars of Quince Jelly – just fantastic with meat – they have already been tried!! 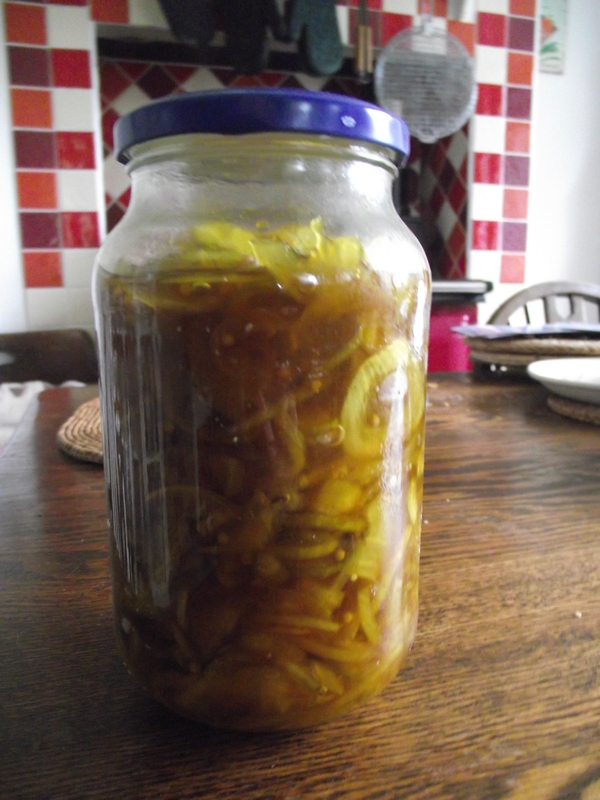 The cucumbers seen here were sliced and diced with some onions and then after boiling/simmering let to drip out. 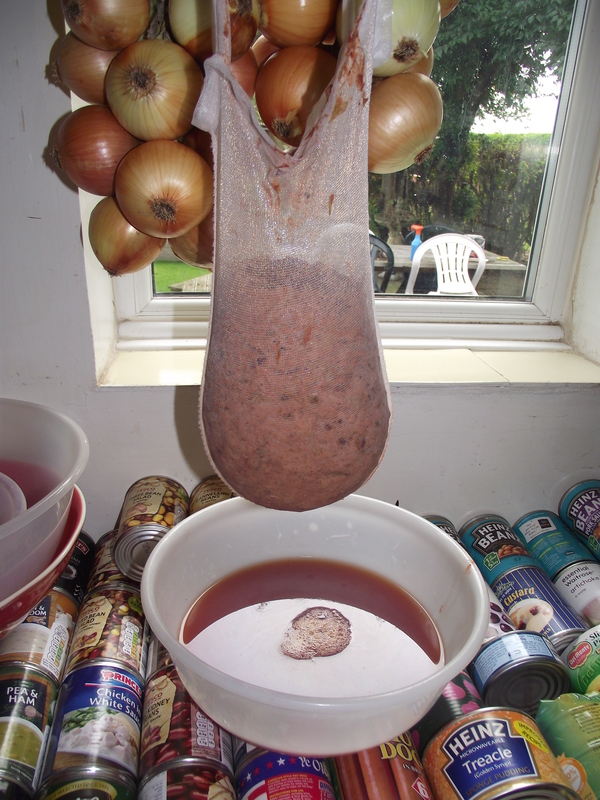 The remaining solid was then added to a hot vinegar/mustard/sugar (and any other spice you want) l.iquid and bottled, as below. I don’t think there will be many more cucumbers this year!! And then added with spices and a mysterious ingredient (I didn’t make these – I cant remember what was added!!) and then jarred. 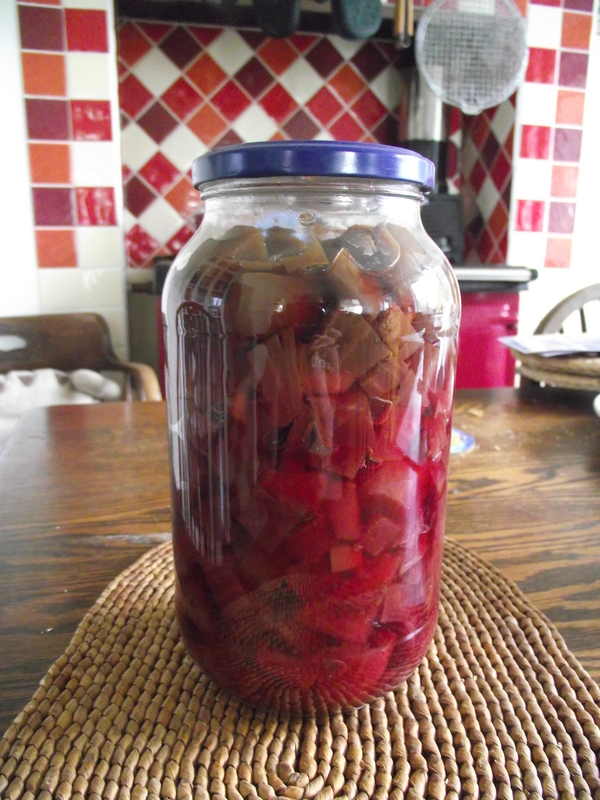 More beetroot to come – and we will keep some in the ground for the Winter. So there you go – lots still to do – outside the allotment has been dug and prepared for both the overwintering straw and poo courtesy of the Alpacas summer shelter. 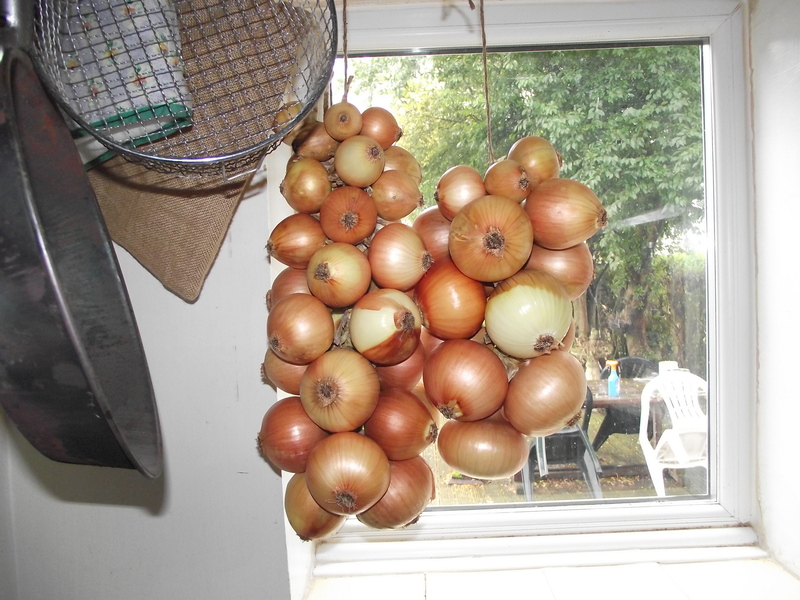 Plus Onions and broad beans are ready to go in for overwintering. Cabbages, Purple Sprouting Broccoli, Parsnips, Beetroot and Sprouts are all growing to cover the Winter months. In the Poly carrots and salad/lettuce are growing. Tomatoes need to be sorted out. Next year a better way of growing tomatoes has to be found. At the other end of the allotment – some of the weed membrane has been removed and Green Manure planted – Rye Grass and Mustard – a good combination of cover and deep rooting plants. And Runner Beans are being dried out to provide next years seed. 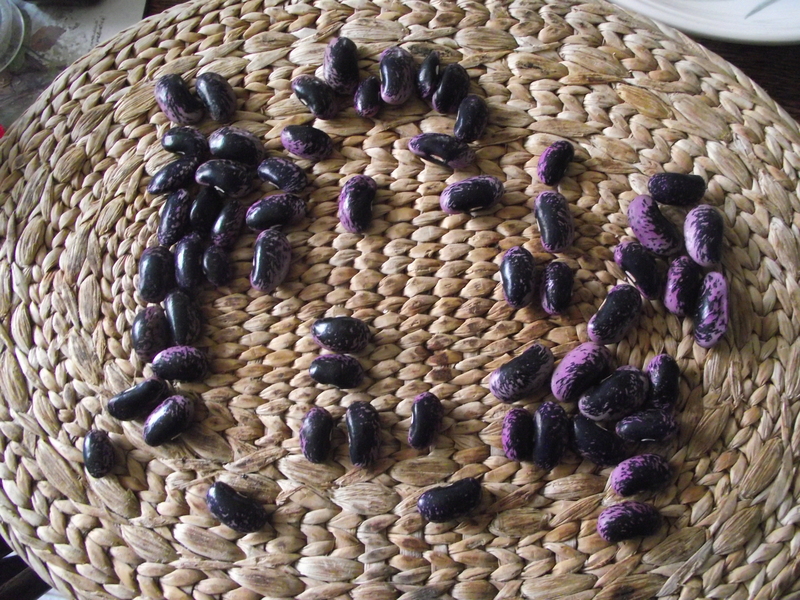 If this can be done a few times the plants start to adapt to the local climate – and they can become varieties – the Digging for Victory Bean!! More to come – busy time.